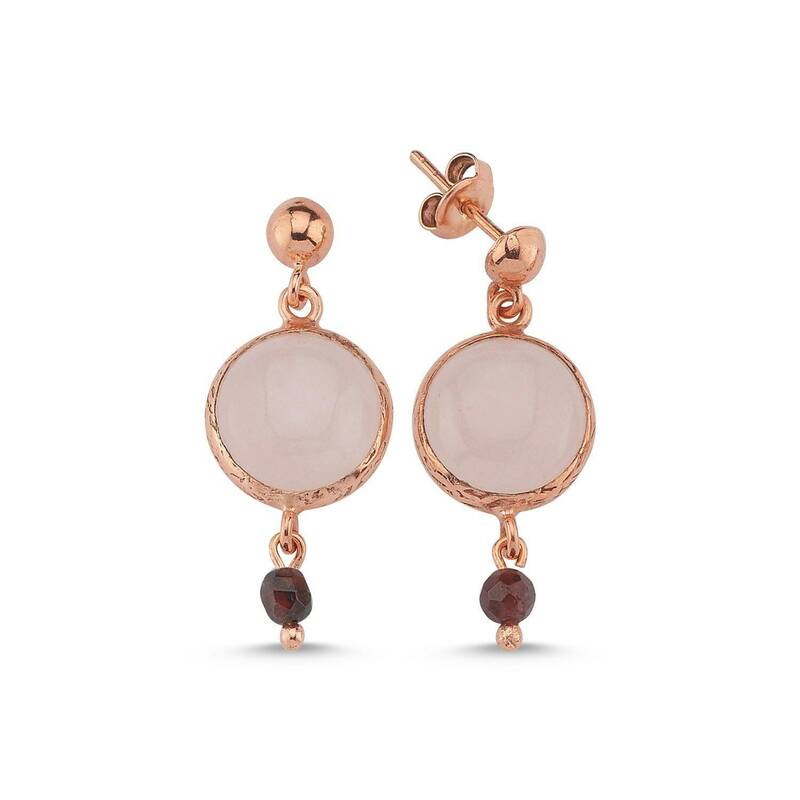 Beautiful rose quartz and garnet earrings. Simple but stylish. 925 Sterling Silver and rose gold plated over.